Nintendo has been red hot for the past few years, but investors have started to "Switch" away from the stock. Shares of Nintendo (NTDOY) have plunged 16% so far in June. It's a curious drop. The video game industry is now in the spotlight because of the annual E3 conference taking place in Los Angeles. The big players in the gaming business often unveil new titles at E3, and the stocks of video game companies tend to go up in June. This year is no exception. Electronic Arts (EA) and Activision Blizzard (ATVI) have already surged 12% so far this month while Take-Two Interactive (TTWO) is up 9%. So why is Nintendo slumping? It seems like investors may be disappointed by the lack of any big news from the company's E3 appearance. Hopes were high for big news. Entertainment and video game news site Screen Rant had this to say about the Nintendo E3 press conference. "The presentation was something of a let-down overall. In general, the reveals weren't that interesting, with little to get the heart racing and a severe lack of information on such massive franchises as Pokemon." Nintendo is a part owner of Niantic, the private company that developed the mobile augmented reality Pokemon Go game that took the world by storm in 2016. Nintendo also has a stake in the Pokemon Company -- which manages the trading cards, TV series and other licensing opportunities for Pikachu and his pals. Nintendo makes Pokemon games for its consoles as well, and there were some gripes that details about the newest "Pokemon Let's Go" games were already well-known. In other words, Nintendo didn't surprise anyone. There was also a somewhat lackluster response to the upcoming game in the Super Smash Bros. series, which feature Mario, Donkey Kong, Link from The Legend of Zelda, and other beloved, old school Nintendo characters. "A reliance on Smash Bros Ultimate and Pokemon Let's Go to carry Switch sales this year hasn't been well-received," GameRevolution wrote. "Both games will likely perform incredibly well for Nintendo, but the market isn't so sure." 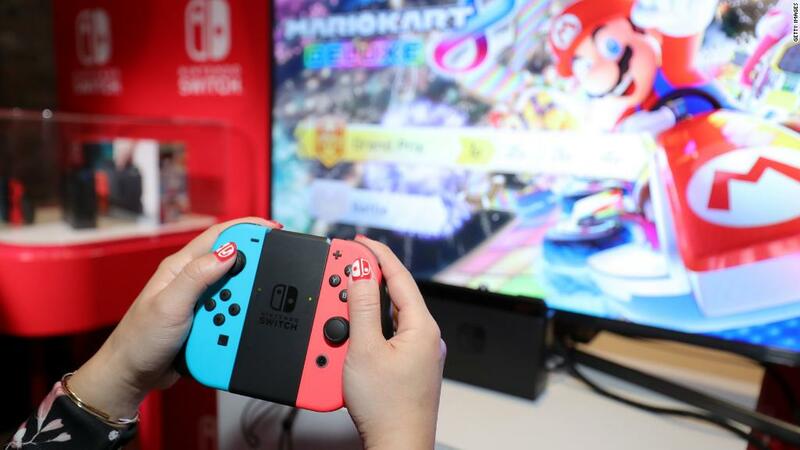 the site added, concluding that "E3 is the biggest US gaming event of the year, so many were hoping that the Switch would have a stronger showing." Nintendo wasn't even able to benefit from the official announcement that Fortnite, the super hot multiplayer battle royale game, is now available for the Switch. Gaming site Polygon reported that there were more than 2 million downloads of Fortnite on Nintendo's Switch eShop in less than 24 hours. But Nintendo may be a victim of its own success. With the stock having more than doubled in the past three years, it looks like the company has to do a lot more to impress Wall Street. Investors have already been swimming in Mario's trademark golden coins.